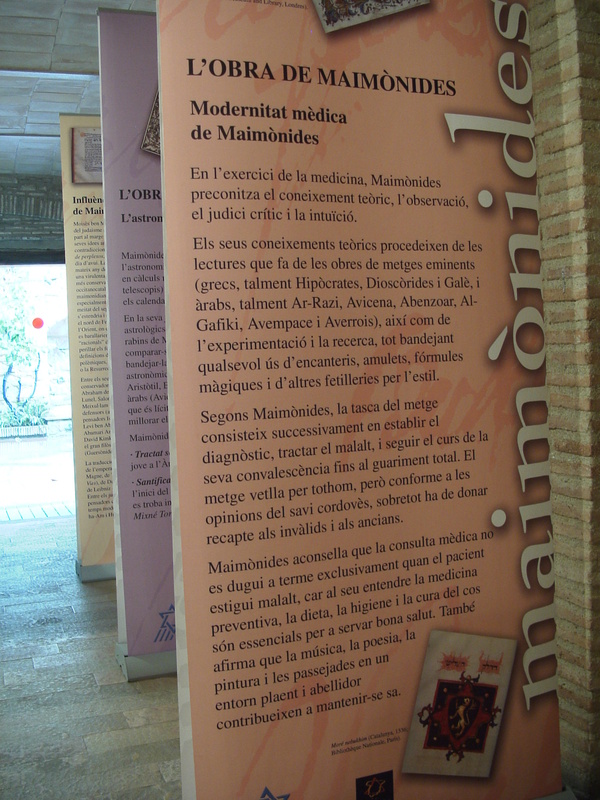 It is an exhibition about Moses ben Maimon, known as Maimonides in the Jewish tradition. In 2004 the eighth centenary of the death of this great thinker born in Córdoba was fulfilled. The texts show us Rambam's private life, the main works he wrote, his intellectual influences and his repercussion on later Jewish thought.